Throughout a company’s life, from formation to dissolution, there are many interactions with the public record both by the company itself and others connected to it, especially banks and other lenders. This interaction can play an important role in how the company grows and operates. Decisions such as what corporate structure best suits the company’s need, how to obtain the necessary financing to grow, and important business decisions like whether a particular acquisition is advisable or not, are all examples of this interaction. In this first part of a three part series on the “Life of a Company,” we will look at the first stages of a company and examine important decisions to make when a company is in the beginning phases. When a company is first starting out, there are a number of decisions relating to entity type that must be made. Should a sole proprietorship merely register a DBA name and rely on business insurance for protection or are the protections offered by a registered limited liability entity more appropriate for the work the company will do? If a limited liability entity is desired, further choices must be made. 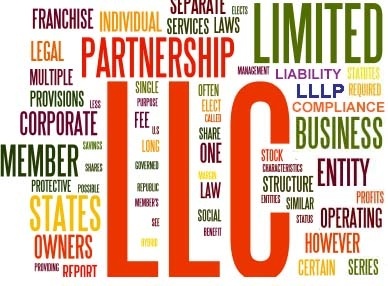 While there are a number of entity types that can limit owner(s) liability (and the options are increasing), it often comes down to choosing between a corporation and a limited liability company (LLC). Corporations have been around the longest and, therefore, have the largest body of legal precedents and codified rules. Corporate shares are easily issued and transferred making interest in a corporation much more liquid than is seen in other entities. Venture capitalists tend to prefer the corporate structure for these reasons and a company must be a corporation to be a public company and offer shares on the stock market. Corporations require more rigid formalities in the operation of the company, however, with more rules governing meetings to be held, notices required, etc. Corporations also suffer from what is often called “double taxation.” The corporation pays taxes on the income it earns and the shareholders also pay taxes on that income when it is distributed to them in the form of dividends. Limited liability companies used to be considered the “new kids on the block”, but now that they have been around for about 25 years, they are well established and accepted entity forms. Limited liability companies are looser in structure, with less formalities required by law, so there is more flexibility to set up the company’s operating agreement in a way that suits the company’s needs best. As “pass-through” entities, limited liability companies also eliminate double taxation. The earnings of an LLC pass through to its members and they are taxed, but the LLC itself does not pay an income tax on its earnings (unless it has chosen to be taxed as a corporation). In addition to the above, there are other ramifications of the choice of entity type. It is important for a company to consult with an attorney familiar with the business and plans of the entity before making this important decision. In addition to choosing an entity type, a new company must decide on a name. Names for limited liability companies or corporations must be available in the jurisdiction where the entity is forming and in other jurisdictions where it plans to register and do business. It’s important to keep in mind that states have different rules to determine whether a name is available. Distinguishable on record: The name is sufficiently different from the names of previously registered entities that it can be distinguished. While rules vary from state to state, in most cases, differences such as articles (“a”, “an” or “the”), plural forms, punctuation or an indicator showing entity type are not enough to make it distinguishable. So, “The Flower Garden, Inc.” would not be considered distinguishable from “Flower Gardens, LLC”. Deceptively Similar: The name is similar enough to the name of a previously existing entity that it could be confused in the mind of the public with that entity. Rules regarding what makes a name deceptively similar vary from state to state but, generally, names that are different only by virtue of the criteria above, or that are phonetically similar or that contain different grammatical forms of the same words are considered deceptively similar. In addition to the requirements of the corporate registry regarding the availability of a name, a company should also consider whether the name is trademarked, or has been in common usage by another company in its region. The corporate registries do not verify names of new companies against these types of records and so the formation document can get filed, but the company may face legal difficulties later due to using a name that has been trademarked or is in common-law usage. There are many things to consider when first forming a new company, from choosing the right structure to support the business model to choosing a good name that will also be compliant in the jurisdiction of formation as well as in other states where the company intends to do business. It is worth the time and money to work with an attorney to carefully consider these factors when starting out. It can save a great deal of trouble later!